Kamasi Washington delivered a solid performance last Thursday night in Toronto. “Solid” is apt in so many ways for this show. Washington and his sidemen are musicians’ musicians. The set was a packed 90 minutes. And the vibe was one of clenched-fist solid(arity). Washington’s live sound is crisp but loose enough for the musicians to have some fun. All the soloists are virtuosos on their instruments. Vocalist Patrice Quinn was flawless, just as she is on Washington’s album, The Epic (Brainfeeder, 2015). The setlist featured selections from The Epic and the recently released Harmony of Difference (Young Turks, 2017). The great thing about Washington’s live show is that it can draw from a recorded body of work with great depth in each composition. Perhaps the most distinctive element of the live show was Brandon Coleman’s keyboard sound choices – quite different from the studio arrangements, adding a dose of funk to the night’s soundscape. In particular, the opening of “Truth” is changed up with a haunting organ sound. The staccato opening of “The Rhythm Changes,” delivered in duet by Washington and long-time collaborator Ryan Porter, was another departure that teased the audience before Quinn revealed the selection with her first verse. Washington himself is a humble and utterly likeable persona on stage. For someone under 40 who has just recently been vaulted into a global spotlight, Washington presents a maturity both in his rapport with the audience and his mastery of jazz. In many ways, Washington made Harmony of Difference come to life that night. Introducing “Truth,” he explained, the interplay of 5 melodies within the composition are a metaphor for how humanity’s differences are actually a unifying strength. Through his music, Washington makes his point brilliantly. The Players: Kamasi Washington, tenor sax; Ryan Porter, trombone; Rickey Washington, soprano sax & flute; Ronald Bruner Jr., drums; Patrice Quinn, vocals; Brandon Coleman keyboards; Joshua Crumbly, bass; unnamed, piano. 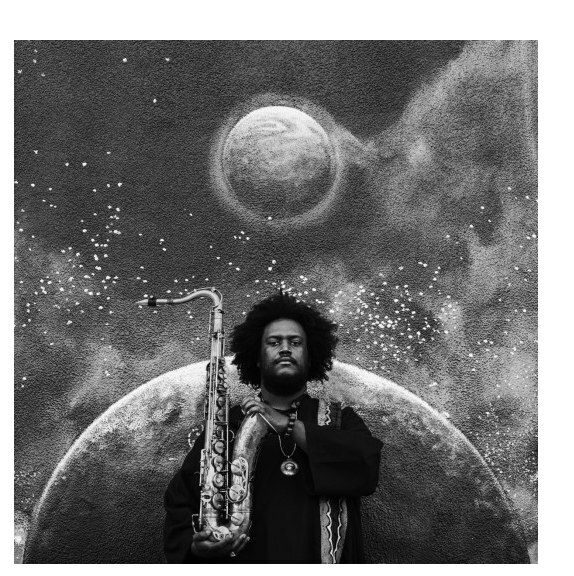 Kamasi Washington’s last album, The Epic (Brainfeeder, 2015), was my standout pick for album of the year. It was, well, epic. Washington’s follow-up reaffirms, he is one of the most important innovators, songwriters, and arrangers in jazz today. The precursor to this album’s full release was a single called “Truth,” released in April. “Truth” is a 13:30 minute epic in and of itself. It contains strong echoes of its predecessor, most notably the choir arrangements of Miguel Atwood-Ferguson. As a fan of Washington’s, I was eager for the release of “Truth” and kept it on high rotation while awaiting the full album. Now that Harmony of Difference is out, the project’s intent comes into focus. It is a study of sorts. The core melody of “Truth” is played upon in various forms in the other tracks on the album. “Desire,” “Knowledge,” and “Integrity” play with the melody using varied time signatures and arrangements, achieving distinct moods. If you haven’t yet listened to “Truth,” wait. Listen to the whole album, starting with “Desire” and finishing with “Truth.” You’ll be awestruck as the thoughful and playful variations come together in a grand opus-like climax. Harmony of Difference is a wonderful follow-up to an astounding debut. It’s exciting to think what Washington will do on his next outing. It will be awesome, but in a manner as yet unimagined to we mere mortals.